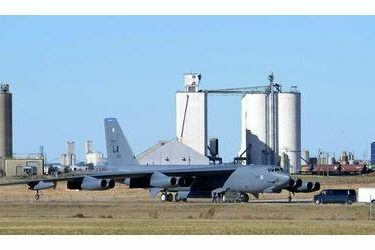 OKLAHOMA CITY (AP) – Tinker Air Force Base has been selected to oversee the maintenance of the U.S. Air Force’s new long-range strike bomber, the B-21 Raider. The B-21 Raider is described by the Air Force as a long-range aircraft capable of penetrating air defenses and performing a range of missions. The planes are expected to be delivered in about two years. Wilson cited Tinker’s workforce and decades of experience in aircraft maintenance as reasons for its selection.